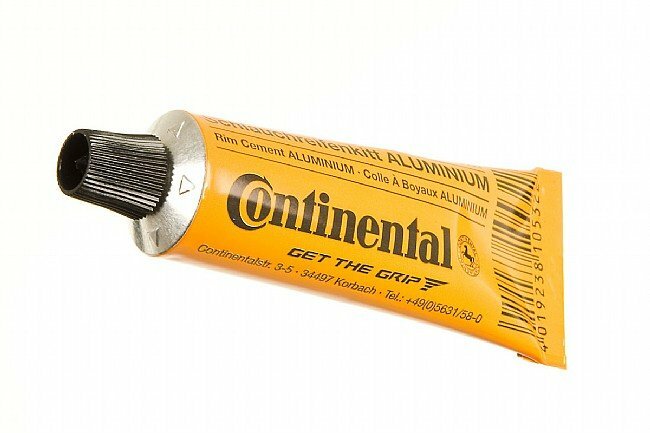 Continental's classic rim cement. 25 g tubes glues 1-2 tires. Made in Germany. I have ridden sew ups for 35 years and recently resurrected some old wheel sets for my vintage steel bikes. I hadn't mounted a sew up in many years but the Continental tape worked great, didn't smear (much) and the tires are secure on the rims. Great product. Kudos to BTD for still carrying an antiquated product!